I don’t have a Surface Studio. My access to one was limited to a 10 minute play in a Microsoft Store in Bellevue, WA last month. But I did have that limited hands-on, I know the specs, and I’ve listened to & read other reviews. So I have my opinions on this headline-making PC from Microsoft and here they are. If it was possible to give a 12 out of 10 score, then I’d do it. The Surface Studio is a beautifully engineered machine, making all those beige and black cuboid PCs of the past look like dumpster fires. I love the form-factor – I was a fan of a similar machine that Lenovo launched several years ago with Windows 8, the A730, which often appears in TV shows such as The Flash. When word of a Microsoft PC leaked, I hoped it would look something like the Lenovo. And Microsoft exceeded that, with a machine that is perfectly designed on the exterior. The screen tilt is perfectly balanced; you can pull down or push up the screen with just one finger, and the motion is smooth. That quality makes you think of a €300,000 hand-made car. In “draft mode” with the screen at a low angle, the Studio is perfect for drawing on. The stylus experience is as you’d expect, fluid and responsive. In my opinion, this is the star feature of the Studio: a big bright, contrasty, colour-popping 28” screen that makes all others look like rubbish. I actually went up the escalator to the Apple store to do an eyeball comparison after playing with the Studio. Apple’s stock paled in comparison in my untrained and un-calibrated opinion. As a hobbyist photographer, the Studio’s monitor would be my choice. Now, there are pros out there that will point out some niche editing monitors with better contrast, colour ranges, hoods for blocking reflections, and all that jazz, but those things cost a freaking fortune, and few creatives ever use them. And the Studio’s big win … you don’t need some drawing pad from the likes of Wacom (professional ones can cost in excess of $1500) because the PixelSense monitor on the Studio is a touch screen that supports a stylus, and the screen tilts down to a suitable angle for editing and drawing. The keyboard and mouse are stylish and match the design of the machine. 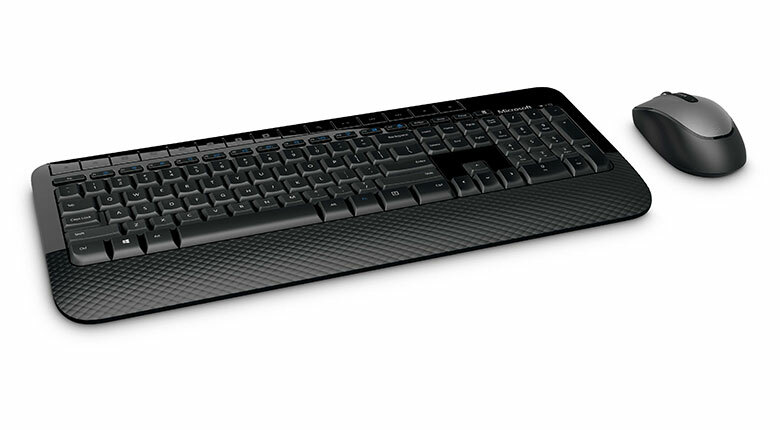 The choice of mice/keyboards is usually a personal thing; I hate small keyboards and flat mice so I would prefer to use something like the 2000 combo from Microsoft – which I use at home. Yes, I would “ruin the styling” at my desk, but these devices suit me better. Of course, the talking point peripheral is the Dial. The Dial is revolutionary. You press down to activate a menu, twist and select and option, and then twisting the dial impacts how much/little or forward/back the current editing does. For a righty, you have the stylus in your right hand, and the dial in your left on the screen (so you can see your press-down menu options), and editing is just a natural process. If you are editing, you can draw while resizing the brush, changing the tone, lightening/darkening the mask, or undoing/redoing your changes. It’s an extremely natural device to use, and the news that it works with other devices is great for all you graphic artists or photo editors that want a faster way to work. This is where things aren’t 12/10. I’m a big fan of the idea, the styling, the screen and the interaction with the Studio. But the spec has some issues. The first of these is the graphics card. I’m no PC gamer, so graphics cards aren’t something I pay attention to. But I sit beside two graphics artists at work. They LOVED the appearance of the Studio when it was announced, but then they saw the card spec, and were disappointed. The Studio includes a mobile GPU, not a PC one, so performance was sacrificed for form. I would have not been upset if the machine was a few millimetres thicker or wider to get a better card in there. The other issue is that the machine has a 5400 RPM hard drive (!!!!) with an M2 SSD cache; in other words, a hybrid drive. The prices of flash storage have plummeted. There is no excuse for putting such a dreadful storage solution into a premium machine like the Studio. Hybrid drives, in my opinion, are a waste. The cache just doesn’t impact performance enough to matter – I know, because I replaced a similar 1 TB hybrid drive in my Lenovo Yoga with a 1 TB Samsung Evo SSD. And the reason was identical to what Leo LaPorte of TWiT reported on Windows Weekly a couple of weeks ago. I might take 1,000 photos on a successful day of wildlife photography – not that similar to what a wedding or news photographer might do. A 36 megapixel photo might be around 60 MB in size. 1000 of those is 58 GB – well beyond the 32 GB SSD cache of a hybrid drive. Let’s say I import those 1000 photos into Adobe Lightroom on my imaginary Surface Studio. The first thing that a photography creative will do is browse through the photos, rate them, and remove what they don’t want to keep. Each photo is pretty large, so loading it from a 5400 RPM HDD will be tedious … 4-8 seconds for each photo! Yes; that’s what Leo LaPorte reported on Windows Weekly, and that’s what I’d expect from such a drive. Microsoft should never have put such a cheap storage solution into a PC for creatives – that’s like putting a 1 litre engine from a Fiat Punto into a Rolls Royce. If you’re getting a Studio then allow for a couple of hundred dollars to replace the drive (which can be done) with an SSD. Everything else is great … lots of memory in the choices, and fast CPUs. It’s a pity that the memory is not expandable, but as Apple have realized, that’s creating manufacturing costs and complexity for the 1% of your target market, and it just isn’t worth it. Apple Mac Pro, the Apple PC that hasn’t been improved in 3 years: 256 GB SSD / Quad Core Intel Xeon / 12 GB RAM / 2 x 2 GB GPU …. $2,999 plus tax. Apple Mac Pro, the Apple PC that hasn’t been improved in 3 years: 256 GB SSD / 6Core Intel Xeon / 16 GB RAM / 2 x 3 GB GPU …. $3,999 plus tax. Professional NAS: $1,000 plus Tax for a Netgear device on Amazon.com that came up first in my search for “Apple NAS”. A professional Wacom stylus solution: The Cintiq 27QHD 27” costs $2,550 plus tax on Amazon.com. So the entry level option from Apple will cost: $2,999 + $1,000 + $2,550 = $6,549 plus tax. The top model from Microsoft will cost $4,199 plus an SSD, plus tax. Hmm, that’s around a $2,000 saving, plus I get a cleaner working experience, modern hardware, and tools (Dial and tilt screen) designed for how I work. My employer (one of the few authorized Surface distributors in the world) got calls about supplying Surface Studio the morning after the launch. The sad news is that the Studio is limited to the USA and it doesn’t look like that will change anytime soon. My personal opinion is that Microsoft accomplished exactly what they wanted with the Studio. The Studio was a concept, much like a Bugatti Veyron or similar. This was an “ultimate machine” designed not to be a profit center, but a highlight, and example of what can be accomplished. By launching a desktop PC, Microsoft risked further angering their OEM partners like Dell, HP, Acer, Asus, and so on. But by making this a very expensive, niche (creatives), and relatively unavailable (tiny supply to a single market) machine, Microsoft created a light in the dark instead of a competitor to their partners. The Surface Studio is a lighthouse. It has shone a light on what can be done with Windows 10, and most importantly, made the media and the customer aware that Microsoft still exists and is still relevant. That plan was a complete success. Even the most ardent Apple-fanboys in the media were convinced that Microsoft has won the title of “most cool” versus Apple, especially after the poorly timed and underwhelming Apple MacBook Pro “touch” launch. Apple customers were all over forums and social media saying that Microsoft has scored a huge win. Share values of Microsoft have stayed high. And hopefully, the OEM partners have seen what can be done, and will mimic the Studio with cheaper clones (with SSD storage! ).